We warmly invite you to join us for Quaker Meeting for Worship each First Day. We cherish the Light within every person and work for peace. Children are welcome and encouraged to attend. 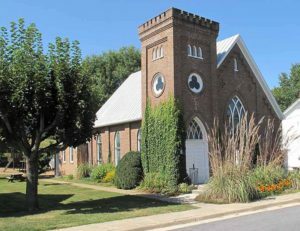 Valley Friends Meeting is an active Quaker meeting near Harrisonburg, serving the Harrisonburg-Rockingham area of Virginia’s Shenandoah Valley. Get directions or contact us for more information. In worship, Friends gather in silent, expectant waiting. When someone feels led to share a message, it is received in the gathered silence. We listen deeply to the Spirit and to each other and reach for the Divine center of our being. “We are met in a great task when we meet in worship, no less than to realize the Divine Presence and to create an atmosphere in which that Presence and Power can touch us into fuller life. “Once we remember this, we cannot but approach the occasion with reverent humility and the desire that nothing on our part may hinder or disturb.